Saturday will be “Firework Amnesty Day” in New York, as the 62nd police precinct at 1925 Bath Avenue is holding this event. What it means is that all New York area people who have fireworks in their possession (which are illegal in New York) can bring their fireworks to the precinct with no penalty. Anyone who wants to can anonymously drop off their fireworks at the 62nd Precinct with no threat of a fine or of other action against them. 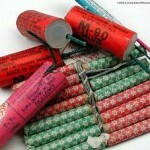 The police want to discourage the dangerous and illegal practice of using fireworks as the Fourth of July celebrations approach, and they are offering this day as a way for people to follow the law. The NYPD explains that, every year, thousands of people are injured by fireworks. The Annual Fireworks Report which is put out each year shows that close to 10,000 people get injured in America each year as a result of fireworks, and that the majority of these injuries occur around the 4th of July holiday. On June 20th, from 9-5, anyone can come to the 62nd Precinct and drop off their fireworks. As a side note, Last Saturday, in West Virginia, a fireworks tent went up in smoke…and fireworks…Fortunately no one was hurt and the neighborhood got quite a fireworks display. But this could have ended very badly. Make sure to get rid of those fireworks on Saturday!